Are you looking for a new car? Do you want something sporty and sleek, yet practical for everyday commuting? When you want a car that is comfortable and classy, choose a Mazda3. It’s a perfect combination of style, dynamics, and value in a compact package. 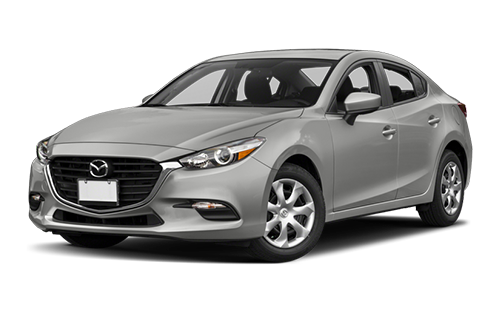 When you’re looking for a Mazda3 for sale near Elmira, come to Forbes Waterloo Mazda. We’re just a short distance away and well worth the trip. At Forbes Waterloo Mazda, we strive to provide our customers with a friendly and professional environment, as well as a low-pressure atmosphere so you can feel comfortable when buying your next vehicle. Our sales team members work hard to give you a customer service experience that exceeds your expectations, each and every time you visit us for great vehicles like the Mazda3 near Elmira. Whether it’s your first time here or you’re a repeat customer, we deliver the exceptional service you deserve when you choose Forbes Waterloo Mazda as your preferred Mazda dealership. Visit us today at 115 Northfield Dr West, Waterloo, ON or call 519-746-2777. When you choose a Mazda3 from Forbes Waterloo Mazda, you’ll be amazed by the great selection. With over 20 new vehicles to choose from, you might need some help. Feel free to test drive any that catch your eye. Our sales team members are happy to help you find the perfect Mazda3 that works for your lifestyle and budget. We guarantee you won’t be disappointed when you come to Forbes Waterloo Mazda for your next vehicle. The Mazda3 comes with SKYACTIV TECHNOLOGY, engineering for the entire car—from body construction and engine technology to chassis and transmission. You’ll get superb fuel economy, better torque, and reduced noise with the 2.0L and 2.5L SKYACTIV-G engines. With the Mazda3, you’ll never have to sacrifice performance for fuel efficiency. You can also take advantage of available safety technologies with the available i-ACTIVSENSE so you can focus on the road ahead. When it’s time to service your Mazda3 near Elmira, trust the expert technicians at the Forbes Waterloo Mazda’s service department. Our technicians will take great care of your vehicle and have it back to you running in top condition in no time at all. You’ll also get free car washes for life when you take your vehicle in for service with us. Sit back and relax in our Zoom Café with a coffee and surf the web while you wait. Do you need a loan in order to purchase your Mazda3? No problem! Our finance team will work hard to get you the auto loan that you want at the rates near Elmira that work best for you. We specialize in new and used car loans, auto refinancing, and loans for bad or no credit. Feel free to give us a call when you have any questions about the options available to you. You can even get pre-approved for financing on our website.